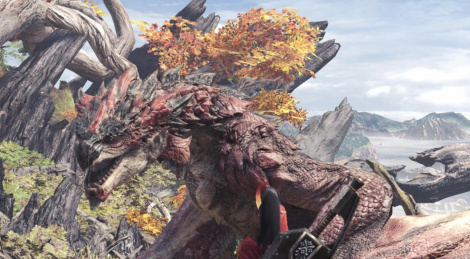 The Monster Hunter: World beta started last Saturday for PS4 owners who have a PS+ subscription, so we did our best to record some footage even though we're not very familiar with the franchise. Originally, we intended to share some 4K footage (though the game clearly doesn't run in native 4K), but some PC issues made it impossible for us to encode them in an accepting amount of time. 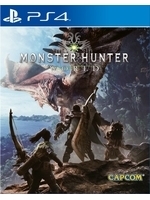 Please apologize our lack of knowledge of the franchise as we had little to no experience in hunting monsters before we hit the record button. Hopefully, you'll find something to enjoy in the following 1080 videos. Update: Problem solved! Blim simply had forgotten to put back 2 RAM modules in the capture PC when he came over last time. Let's all boooo our tired tyrant! 4 "4K" videos added. You guys shouldn't worry so much about your performance in games. No one is great at every single game genre, even less so at every single game. As long as you at least put in some effort to learn how the game works and try your best, that will come through - be noticeable - in videos, streaming, etc. Also, I remember the first time I played a Monster Hunter game, it was on PS2 and I didn't know anything, but after a while you learn how things work and you get better at it. If you liked the game, I hope you used this opportunity to get better acquainted with it in preparation of the game's launch in January. Though if you didn't like it and don't plan to play it further, that's fine as well. January is packed with other great games too. I will use my vacation on January to try and finish as many games and some DLCs I've overlooked this year before 2018 starts getting steam. each weapon is a "class" that plays alltogether in very different ways. it expected a rubbish couple first playtroughs in each. i've played a few monster hunter games and i've found them all painfully tedious. i can't imagine this will be any different. looks quite nice though. Beautiful game but this beta totally put me off to the game. Not my cup of tea at all.